The radio itself is high quality. The quality of the build is excellent and this is a very durable radio. In the past few weeks I have had it, it has taken some hard falls. Looking at the radio now, you would not have known. There are no scratches, marks, or blemishes of any kind and it looks just like how I took it out of the box. I have opted to leave the screen protector on as all it did was give me some peace of mind but I have no doubt that the screen would do just fine even without it. In your hands and on your belt it is bigger than most radios. I personally do not mind at all, I even prefer a beefier radio, and the large size has not interfered with anything yet. 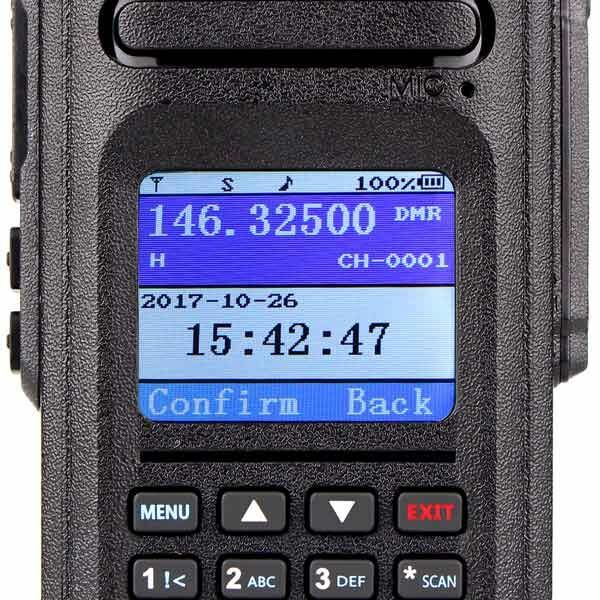 The HD1 is very similar in looks to many motorola radios, so sometimes I have had people point to it and ask if I was in law enforcement or the fire department. Only dislike is that the screen is hard to read in bright daylight, the backlight is too dim to see clearly in bright conditions. Something nice to add though is the IP67 rating. 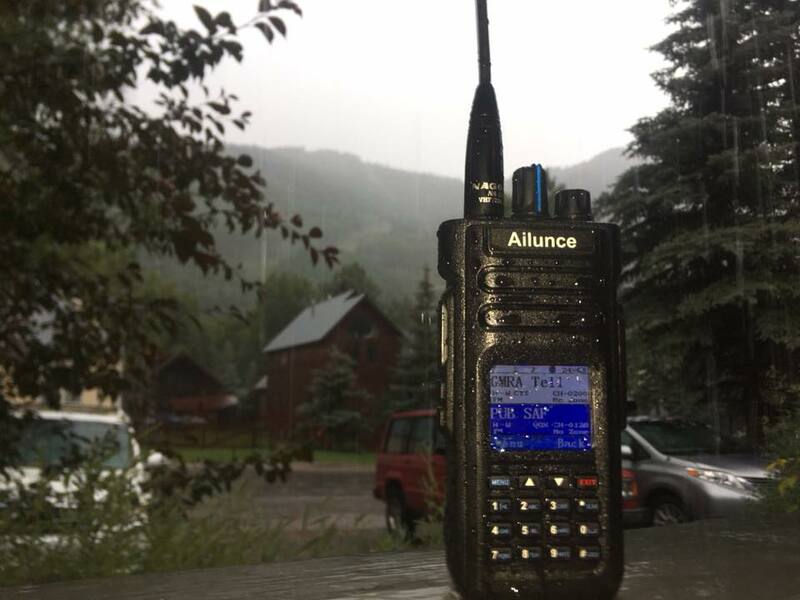 I have experienced heavy rains with the radio and it has held up just fine. I am extremely pleased with the physical quality of the radio. The interface is Okay. But a beauty of upgradable firmware is that it can change. Currently I am using version 1.48-gps and this is my review of that version. The HD1 was made for amateur radio operators. I’m sure you have heard it before, but what it means to me is that it is easily programed direct from the menu options. You can do almost everything including naming a new channel (something on other radios that require a computer) only using the keypad. That is only after you learn how to use the menus. This is where I would like to see some improvements. On the menu options you either use the MENU key, up and down arrows, EXIT key, the keypad, the top knob, or even the scan key. This is confusing because there is no consistency between the options. Here’s what I mean; when trying to set a ctcss code you find the the menu named C-CDC. In the option it says off.